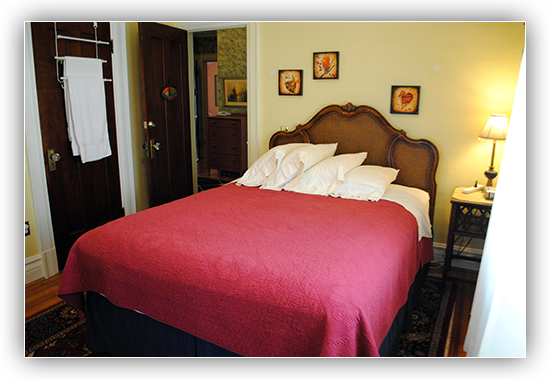 Rates include hearty breakfast, hotel tax, and sales tax. Cash, US Checks, Visa, Discover and MasterCard are accepted. Sorry, I no longer accept American Express. 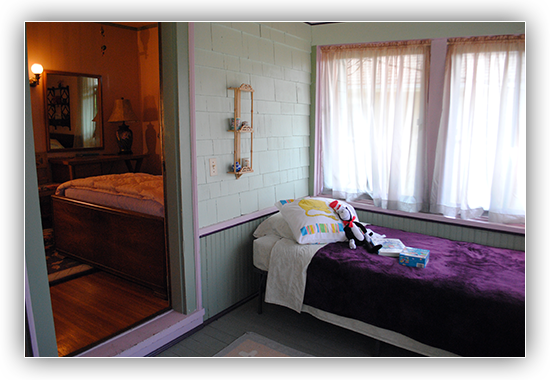 Each bedroom is named for the child who grew up there. 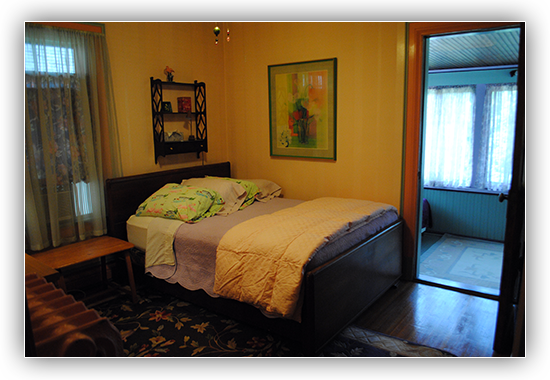 Raymond’s Room has a queen-size bed and southern exposure. Raymond, 32, has a software engineering degree from Rochester Institute of Technology. He lives in Hilton, NY with his wife Crystal and two year old daughter Lilianna. 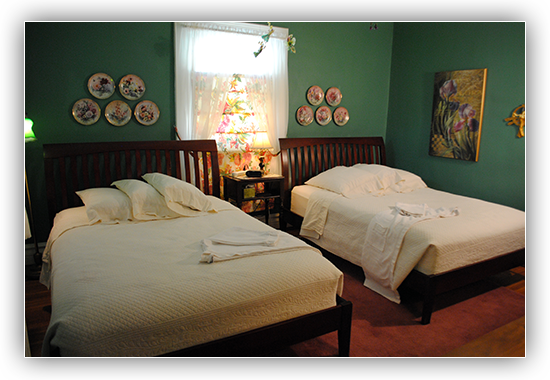 Jewel’s Room has two double beds and eastern exposure. Jewel, 30 , has degrees from SUNY Buffalo and Nazareth College. She is back from Argentina where, with a Fulbright Grant, she was teaching English as a second language. Portland, Oregon is where she currently calls home. Shannon’s Room has a double bed and northern exposure. Shannon, 30, is a personal banker, soccer coach and community “mover and shaker”. She lives in Greece, NY with her husband Jeff, daughter Gianna and son Jeffrey. Off Shannon’s Room there is an enclosed, unheated porch with a twin bed. There are three half walls with windows and screens. It’s like camping in a comfy bed without the bugs. Enjoyable May through mid October. to take your toiletries to the bathroom. 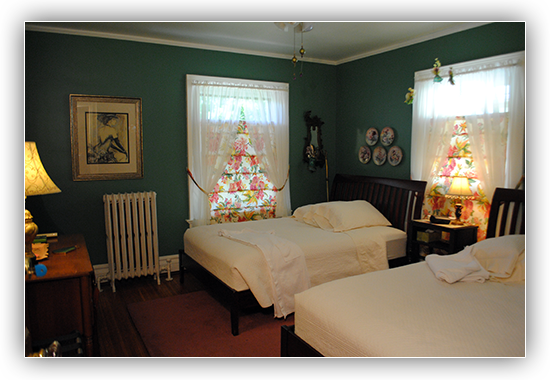 on each bed. 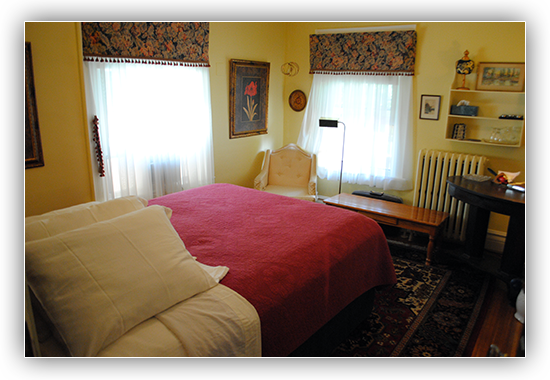 Each room is individually air conditioned May 15 to October 1.
bathrooms along with individual bath mats for each guest. There is also an ironing board, iron, sewing supplies and umbrellas. And, of course, just ask Reen if you forgot something.